(MSA), and aims to find future rallycross stars. The RX Talent Search will allow 12 selected finalists the opportunity to prove themselves behind the wheel of an RX Lites car. The winner will be awarded with a fully paid entry into the RX Lites Cup round staged at the former F1 venue, Intercity Istanbul Park from October 3-4, 2015. RX Lites are identical 310bhp, mid-engined, four-wheel drive cars designed by Olsbergs MSE in co-operation with Avitas Motorsport and produced in Turkey. Featuring strictly controlled spec vehicles, the series is designed to provide an affordable platform to showcase the talent of emerging young drivers. Any MSA competition licence-holder aged between 18 (born after January 1, 1985) and 30 (born before December 31, 1997) interested in entering the RX Talent Search can put themselves forward for consideration by completing a simple form on the MSA's official website. From these applicants - who can come from a racing, rallying or, of course, rallycross background - a shortlist of between ten and 12 people will be selected. 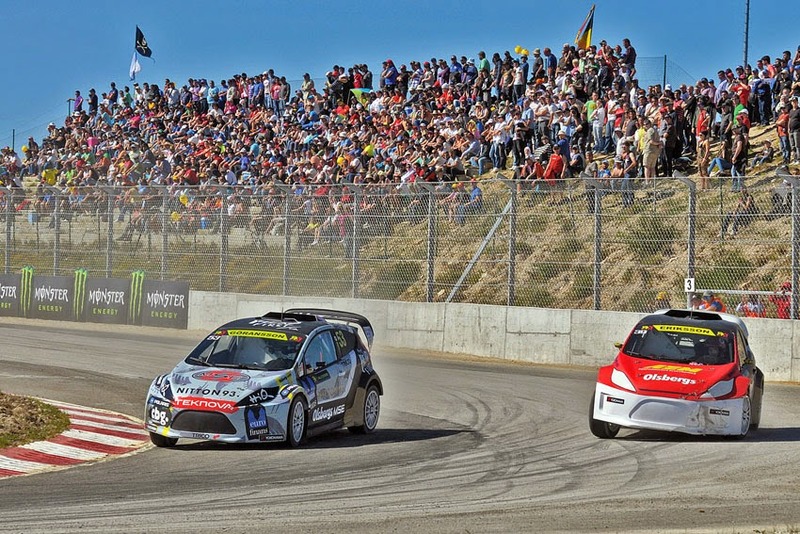 As a curtain raiser to the FIA Motorsport News World RX of Great Britain taking place at Lydden Hill (May 22-24, 2015), these chosen finalists will be invited to a special evaluation event at the Kent circuit on May 21, 2015, with the most impressive performer winning the coveted prize drive in Turkey. Olsbergs MSE will be providing two RX Lites cars and the judging panel will include Robert Reid, MSA Performance Director; Martin Anayi, World RX Managing Director for IMG Motorsport; Andreas Eriksson, Team Principal of Olsbergs MSE and Andrew Jordan, the 2014 British Touring Car Champion who secured a podium finish in last year's World RX of Great Britain as a wildcard entry. "An RX Talent search is something that has been on our radar for some time and thanks to the FirstCorner, OMSE and Lydden Hill, we're now able to get this project off the ground in the UK. We believe that this is something we can roll out to other markets in the coming years as we continue to position rallycross as an attractive and affordable option for young drivers who are looking at a future career in motorsport. The FIA World Rallycross Championship offers incredible return on investment and we pride ourselves on having an extremely diverse range of drivers - we've had champion drivers competing from all motorsport disciplines including F1, rally, TouringCar and drift in our Championship. The RX Lites Cup currently runs at seven rounds in support of the World Championship and is the perfect stepping stone for young drivers to hone their rallycross skills before looking at the other FIA categories such as TouringCar, Super1600 and eventually the headline Supercar category," said Martin Anayi, World RX Managing Director at IMG.